Both tools sport a strong, magnetic base with a flexible neck for optimal positioning of the clamp or mirror in the application. The clamp can be used to hold a manual, prints, flashlight or spray nozzle, while the mirror lets you see the opposite or back-side of your workpiece. 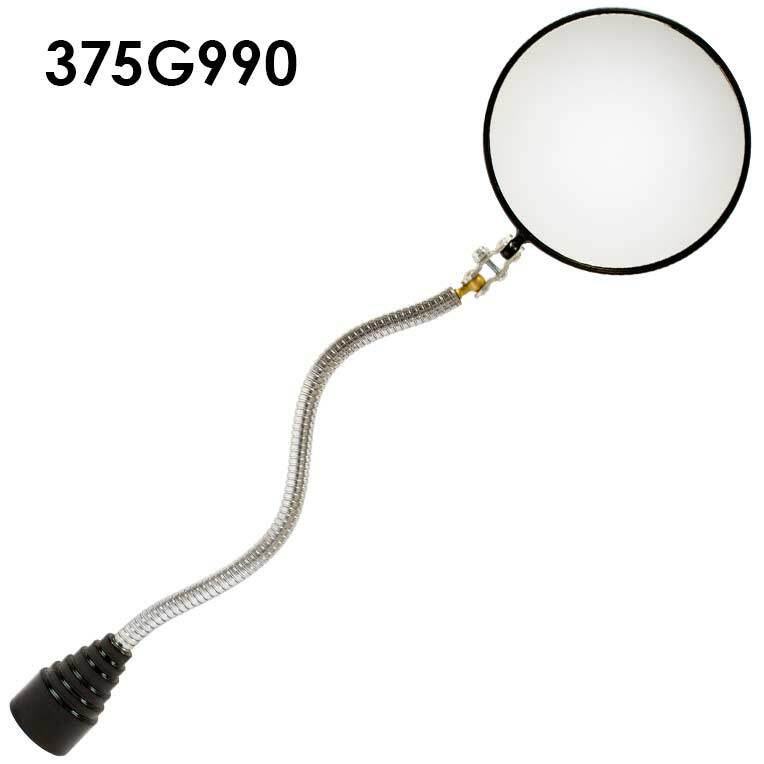 375G990 Mirror 3-7/8 dia. 14-1/4 .55 lbs. 1-1/8 dia. 20 lbs. 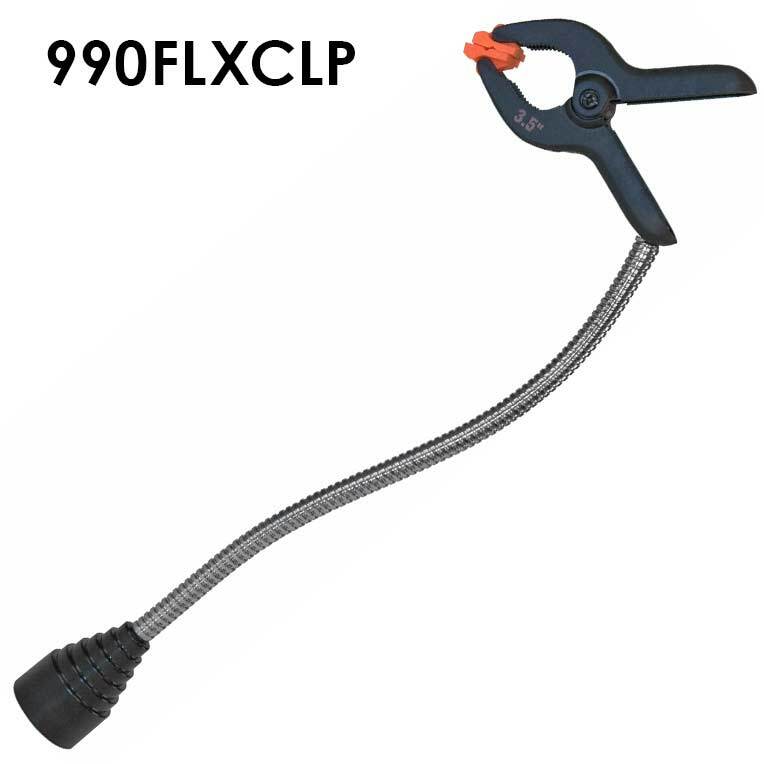 990FLXCLP Clip 1-1/4 max open 13 .45 lbs. 1-1/8 dia. 20 lbs.